Present state: Demolished - no evidence of the station remains. 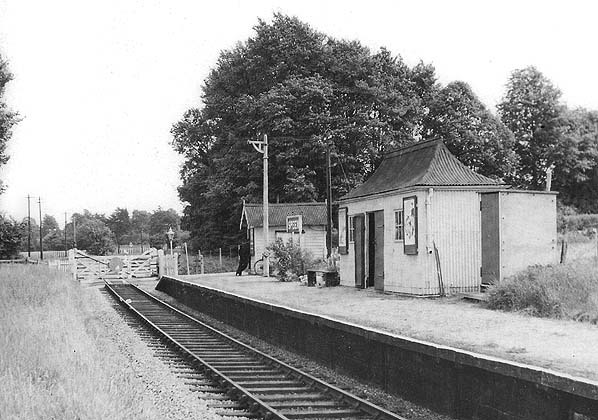 Notes: The original station here at Speen, consisted of a 9" high platform this was ultimately raised to standard height with the addition of two, twenty five foot ramps. The traditional Great Western iron shelter was added around 1910. 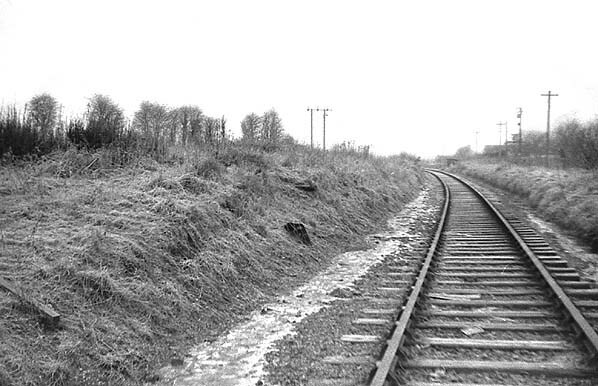 Like all of the intermediate stations on the Lambourn branch the platform was topped with cinders and fine gravel while it's leading edge was built of sleepers. Rails sunk vertically into the ground supported the entire structure throughout its length. 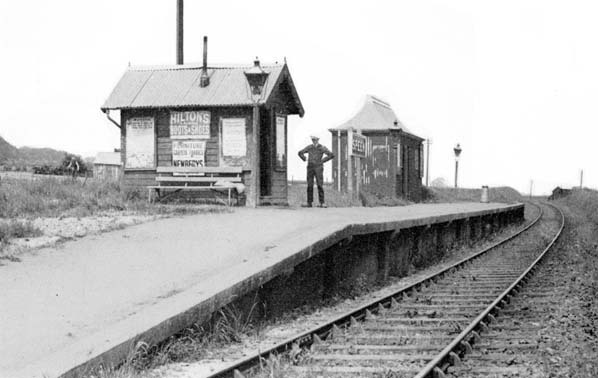 Initially, the station was known as 'Speen for Donnington' and as late as 1932, was so listed in some timetables. The line ran through a prime agricultural area, a high percentage of which was used for livestock farming The surrounding farms provided a quite sizable volume of milk traffic which continued until the general decline of milk carriage by rail. A considerable number of parcels were also dealt with.